The Master’s Degree Programme in International Human Rights Law at the Åbo Akademi University is designed to prepare its graduates for challenging human rights careers in international organizations, non-governmental organizations and public administration. It will also provide the requisite background for advanced human rights law research. Successful completion of this two-year full-time programme results in the award of a Master of Social Sciences (M. Soc. Sc.) degree. The European Master’s Programme in Human Rights and Democratisation (E.MA) organised by the European Inter-University Centre for Human Rights and Democratisation (EIUC) is a one-year advanced master’s course aimed at preparing professionals to respond to the operational requirements of daily work in international organisations, field operations, governmental and non-governmental bodies, and academia. The call for applications for the academic year 2016/2017 is now open. iCourts is a well-established Centre of Excellence at the University of Copenhagen. It is funded by the Danish National Research Foundation. Its research focus is on the ever-growing role of international courts, their place in a globalizing legal order and their impact on politics and society at large. To understand these crucial and contemporary interplays of law, politics and society, iCourts has launched a set of integrated interdisciplinary research projects on the causes and consequences of the proliferation of international courts. 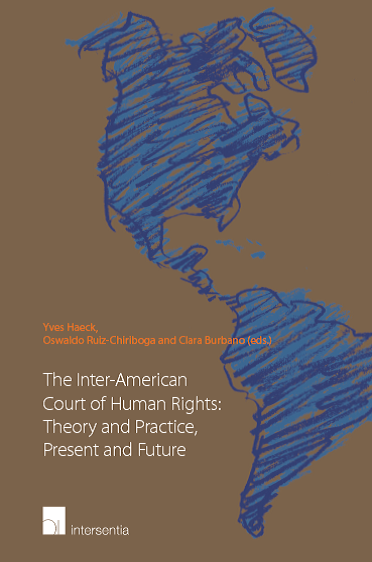 In particular, the research agenda of iCourts explores the processes of institutionalization, autonomization and legitimation of international courts. By bringing together a transnational group of top scholars with a background in law and social sciences, iCourts encourages interdisciplinary exchanges, and promotes empirical research of new and well-established international courts. iCourts seeks applications for fully funded PhD scholarships. The Freie Universität Berlin announces one fully-funded Post-Doctoral Fellowship for the 2016-2017 Academic Year (starting from April 2016) in the Joint Interdisciplinary Programme 'Human Rights under Pressure' (HR-UP) – a cooperation between the Hebrew University of Jerusalem and the Freie Universität Berlin. The programme is interdisciplinary, welcoming candidates whose research is in relevant fields of law, social sciences or the humanities, including social work and educational sciences. L’Université Libre de Bruxelles offers 10 postdoctoral fellowships to refugees holding a PhD. The fellowship programme is in memory of Khaled al’As-ad, the Syrian professor and Former Director General of Antiquities and Museums in the city of Palmyra who was publicly beheaded by Daesh in August this year. L’objectif général du Collège universitaire Henry Dunant est de donner aux participants à travers son programme de l’Université d’été des droits de l’homme (UEDH) les outils pour la mise en œuvre des politiques publiques basées sur les droits de l’homme et pour promouvoir une culture des droits de l’homme fondée sur un dialogue entre les cultures et les religions. Le programme suit de près l’évolution des droits économiques, sociaux et culturels (DESC) aux Nations Unies. The Academy of European Law is a non-profit public foundation that provides training in European law to legal practitioners. Its patrons include most EU member states and it is supported by the EU.ERA organises conferences and seminars around Europe, offers an online training programme which includes a broad range of courses and e-presentations and publishes a legal journal ERA Forum. This seminar will provide participants with a detailed understanding of the most recent jurisprudence of the European Court of Human Rights (ECtHR) related to family law matters. The Unrepresented Nations and Peoples Organization (UNPO) is an international membership organization working in the field of human rights, self-determination, indigenous issues, democracy and non-violence. UNPO represents 42 nations, minorities and indigenous peoples worldwide, and was established in 1991 at the Peace Palace in The Hague. UNPO’s worldwide activities are coordinated and implemented from the organization’s advocacy office in Brussels and the headquarters in The Hague. UNPO has a internship vacancy for a Project Assistant at its advocacy office in Brussels. The inernship is unpaid, will start in January 2016 will last 4 months (minimum). The Office of the United Nations High Commissioner for Refugees (UNHCR) offers assistance and protection to some 46,3 million people of concern (internally displaced people, refugees, returnees, stateless people, asylum-seekers and others) around the world. It has a staff of over 9300 employees in over 125 countries. The UNHCR Regional Representation for Western Europe seeks for its Protection Unit for Belgium and Luxembourg 1) a native Dutch-speaking legal intern with a start date of 8 January 2016 in Brussels and 2) a native French-speaking legal intern with a start date of 3 February 2016 in Brussels for a six-month unpaid internship. Privacy International is committed to fighting for the right to privacy across the world. It is looking for a highly capable researcher who is passionate about technology, human rights, and international development. The Research Officer will join the Research and Investigation Team to support the implementation of the multi-country research and capacity building work. S/he will work closely with Privacy International's Programme Lead on the Global South, one of the three key programme areas, which focuses on privacy in the developing world. One of the main aims of this programme is to build research leaders to respond to issues around privacy, data governance and data exploitation, surveillance and surveillance technology, development and human rights. The Rule of Law Section conducts a country-wide trial monitoring programme of criminal cases, which aims to ensure that case processing complies with the Bosnia and Herzegovina (BiH) Constitution, international human rights instruments, and BiH’s international commitments. Findings of the monitoring programme are used to promote necessary judicial and legal reforms and to provide assistance, advice, and training to the judiciary. Particular focus is on accountability for war crimes, hate crimes, human trafficking and other major crimes. The Rule of Law Section requires the services of an intern to provide assistance to the Legal Advisers on War Crimes in the field of judicial and legal reform with emphasis on war crimes trials and processes that impact on transitional justice in BiH. The intern will be directly reporting to the Legal Adviser, War Crimes and the Rule of Law, and in the second instance to the Head of Rule of Law. The International Criminal Court (ICC), governed by the Rome Statute, is the first permanent, treaty based, international criminal court established to help end impunity for the perpetrators of the most serious crimes of concern to the international community. The ICC offers a challenging working environment in the pursuit of international justice. It seeks interns who are dedicated to the ICC mission to put an end to impunity for the perpetrators of unimaginable crimes that threaten the peace, security and well-being of the world. ENAR is a pan-European network of anti-racism NGOs combining Europe-wide advocacy for racial equality and the facilitation of cooperation among civil society anti-racist actors everywhere in Europe. This two-pronged approach makes ENAR a strong and effective advocate on racism and related discrimination in European capitals as well as in Brussels, while maintaining the link with the people directly affected by ethnic, racial and religious discrimination. ENAR knows and understands the situation on the ground and translates this understanding into concrete and successful policy proposals and initiatives. The organisation was set up in 1998 by grassroots activists on a mission to achieve legal changes at European level and make decisive progress towards racial equality in all EU Member States. An internship at ENAR offers an opportunity to gain hands-on experience of the different aspects of working in an international NGO for equality. This specific internship (6 months between January-July 2016) is based on a professional immersion agreement (CIP) and thus remunerated in conformity with Belgian legal prescriptions. The AIRE Centre offers a full-time internship for 4 months, starting in January 2016. AGE Platform Europe (AGE) is a non-profit European network which brings together about 150 non-profit organisations of/for people aged 50+, directly representing over 40 million older people in the European Union (EU). AGE aims to fight age discrimination and promote the rights of older persons; voice the interests and concerns of older European citizens and foster their involvement at EU, Council of Europe and UN level to shape appropriate policy responses; and raise awareness of ageing related issues and of the opportunities and challenges that arise from the ageing of the EU’s population. AGE is currently seeking an intern to work on the human rights of older persons. The 2016 Northern Bridge competition has now launched. Northern Bridge is a doctoral training partnership between Newcastle, Durham, and Queen's Universities. Each year they fund up to 50 PhD studentships, as well as provide specific training for successful candidates. The competition runs across the Arts and Humanities. The competition is open to UK and EU students and the deadline for student applications this year is 5pm on 11 January 2016. However, if you are interested, you are advised to get in touch as soon as possible in order to start preparing a strong application well in advance. The Faculty of Humanities, Institute for History of Leiden University announces vacancies for 3 PhD Positions on Rethinking Disability: the Global Impact of the International Year of Disabled Persons (1981) in Historical Perspective. The World Organisation Against Torture (OMCT), the largest international coalition of non-governmental organisations fighting against torture, summary executions, forced disappearance and all other forms of cruel, inhuman and degrading treatment, is seeking to recruit a full time human Rights Officer for the Human Rights Defenders/Observatory for the Protection of Human Rights Defenders based in its Brussels Office (OMCT Europe). Working languages are English, French and Spanish. The position should be filled from 16 November 2015. REDRESS is seeking applications from excellent law graduates and LLM students with a strong background in international human rights law to take up the role of casework legal intern. REDRESS works to ensure that international standards relating to the prohibition of torture and reparation for survivors of torture and related international crimes are applied at the national level. Part of this work focuses on bringing strategic cases before domestic, regional and international tribunals, informing and influencing new laws and practices at the domestic level, advocating and building the capacity of national institutions to ensure compliance with existing standards. REDRESS is seeking applications from excellent law graduates and LLM students with a strong background in international human rights law to work in its International and National Standards Programs. REDRESS works to ensure that international standards relating to the prohibition of torture and reparation for survivors of torture and related international crimes are applied at the national level. Part of this work focuses on bringing strategic cases before domestic, regional and international tribunals, informing and influencing new laws and practices at the domestic level, advocating and building the capacity of national institutions to ensure compliance with existing standards. ILGA-Europe is a driving force for political, legal and social change at European level. Its vision is of a world where dignity, freedoms and full enjoyment of human rights are protected and ensured to everyone regardless of their actual or perceived sexual orientation, gender identity, gender expression and intersex status. ILGA-Europe is seeking an intern from December 2015 to April 2016 to work with the staff team in Brussels. This is a paid internship. The Amsterdam office of Human Rights Watch, which opened in 2010, is currently seeking an intern with an interest in human rights, development (fundraising) and event planning. The intern will learn how to organize outreach and cultivation events, prepare visits for international HRW researchers and advocates, correspond with donors and partner organizations, and research human rights issues in the Netherlands. The European Human Rights Advocacy Centre (EHRAC) is inviting applications from graduates and post-graduates for a six-month human rights programme internship with the Oak Foundation. Twice per year the Council of Europe welcomes young graduates into its organisation as trainees. The traineeships last from eight weeks to five months, and are not remunerated. Enrolment for the first traineeship session in 2016 is now open. A consortium of 12 international NGOs have won the contract to establish and implement an EU Human Rights Defenders Mechanism. The members of the Consortium are: Front Line Defenders, Reporters Without Borders (RSF), World Organisation Against Torture (OMCT), International Federation for Human Rights (FIDH), Economic, Social and Cultural Rights Network (ESCR-Net), International Gay and Lesbian Association (ILGA), Urgent Action Fund for Women's Human Rights (UAF), Protection International, Peace Brigades International (PBI), Euro-Mediterranean Foundation of Support to Human Rights Defenders (EMHRF), Forum Asia and East and Horn of Africa Human Rights Defenders Project (EHAHRDP). Front Line Defenders, RSF, OMCT and FIDH will form the Board of the Consortium. In order to implement the EU HRD Mechanism the Board will recruit an independent Secretariat for the project which will be managed by a Head of Secretariat. The EU HRD Mechanism began operations on 1 October 2015 with a contract for 36 months. Within the FWK BENEF Lot 7, ideaborn is looking for experts for the Evaluation of the Election Observation and Democracy Support Project (EODS) of the European Instrument for Democracy and Human Rights (EIDHR). • to strengthen the election observation capacity and methodology of regional organisations and networks. Those activities should focus on existing strategies for the implementation of EU EOM recommendations and develop them; they should also include research in the field of elections and election observation, either through analyses of particular countries/regions or comparative studies. The Inter-AmericanHuman Rights Network (IAHRN) is inviting submissions for papers to be presented at a two-day Workshop entitled "Moving Beyond the Good, the Bad and the Ugly: What to Learn From International Human Rights Systems?" Academics, judges, and practitioners from all regions of the world are invited to discuss opportunities for improving policies and outcomes through the implementation of decisions of international adjudicators. 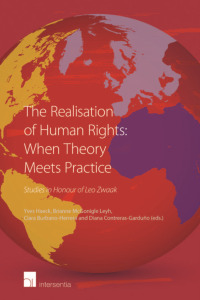 The workshop will be held at Ghent University’s Human Rights Centre on 29 and 30 January 2016. If you are interested in participating, please send a half page abstract of the paper you would plan to present to Clara.BurbanoHerrera@UGent.be and p.low@ucl.ac.uk. The seminar will provide legal practitioners with an update on the case law developed by the European Court of Human Rights – mainly in 2014 and 2015 – with relevance for criminal law and criminal procedure. Important new developments presented in this seminar concern, for instance, the right to legal assistance (A.T. vs. Luxembourg 30460/213). International Human Rights Network is a not-for-profit organisation providing practical, expert, support to organisations applying Human Rights Based Approaches. It provides support for organisations to actively learn from their own, and other's, experience for concrete human rights results. The annual IHRN training programme aims at enhancing the skills of justice sector personnel, consultants, managers etc., in applying Human Rights Based Approaches to Justice Sector Reform. The programme is designed for people working in the justice sector (with state or non-state institutions) or undertaking Rule of law/Governance assignments (e.g. UN, EC Framework Contract Lot 7 - Governance and Home Affairs) as well as justice sector personnel wishing to adapt their expertise for international consultancy work. IHRN is offering a scholarship to enable a suitably qualified person to participate who would not otherwise be able to do so. The Office for Democratic Institutions and Human Rights (ODIHR) is the principal institution responsible for the human dimension of the Organisation of Security and Cooperation in Europe (OSCE). ODIHR’s activities are implemented in 57 participating States in accordance with ODIHR’s political mandate. Among ODIHR’s main fields of activities are election observations, as well as a large number of assistance projects in the areas of democratic institution building, the rule of law and human rights. The ODIHR Human Rights Department is looking to recruit three interns for a 6 months’ period starting in January, May and July 2016 respectively. (Please note the starting date is subject to change. Please kindly mention your availability dates in the cover letter). Based in Strasbourg, France, the Council of Europe (CoE) brings together 47 member states to protect and promote human rights, democracy and the rule of law throughout Europe and beyond. The CoE has a vacancy for a Human Rights Advisor. Join the Council of Europe in its mission to ensure human rights for all. The School of Law, NUI Galway is committed to high-quality research and to enhancing its position as a centre of scholarship, nationally and internationally. The key research strength of the School of Law lies in the area of public law but many of its academics are research-active in areas of private law and legal and political theory. The School is renowned for its two main research centres, the Irish Centre for Human Rights and the Centre for Disability Law and Policy. The Irish Centre for Human Rights makes significant contributions to developing of a body of specialised human rights, international humanitarian law and conflict studies literature. The Centre for Disability Law & Policy provides an innovative model for interdisciplinary research. It has formed an active collaboration with the Irish Centre for Social Gerontology and the Child and Family Support Research Centre. The School of Law is currently accepting applications for two PhD Scholarships. The Open Society Justice Initiative uses law to protect and empower people around the world. Our approach is based on the foundations of international human rights and international humanitarian law, and focused on securing legal remedies for abuses, and the effective enforcement of the rule of law. Through litigation, advocacy, research, and technical assistance, the Justice Initiative promotes human rights and builds legal capacity for open societies, and fosters accountability for international crimes, combats racial discrimination and statelessness, supports criminal justice reform, addresses abuses related to national security and counterterrorism, expands freedom of information and expression, and stems corruption linked to the exploitation of natural resources. We recognize that changes in laws and institutions are incomplete without changes in how people think about the law’s relevance to their daily live, and collaborate with a community of dedicated and skillful human rights advocates across the globe, part of a justice movement that reflects the diversity of the world it inhabits. Based in the London office, the Advocacy Officer will develop and implement advocacy strategies and tactics on a broad range of issues, primarily in Europe, although this position does not include advocacy in Brussels, as OSF has a dedicated office there. Based in Strasbourg, France, the Council of Europe brings together 47 member states to protect and promote human rights, democracy and the rule of law throughout Europe and beyond. As a Human Rights Advisor, you will have a central part to play within the Office of the Commissioner for Human Rights, contributing substantially to our mission. Enjoying considerable variety and visibility, you will organise and attend visits to member states, including analysing reports by monitoring bodies, drafting briefings, making arrangements with authorities and forging links with NGOs and civil society. Operating alongside the Commissioner, you will ensure that visits are meaningful and productive, and will prepare thematic reports, statements, speeches and action plans to translate recommendations into action. Equally importantly, you will lead projects and regularly speak at conferences and seminars, so you will be pivotal to the safeguarding and extension of human rights across Europe. Qualified to master’s degree level in Law or Political Science, you will bring a proven record in promoting and protecting human rights. This will have given you the confidence and technical skills to address human rights issues in national and international settings, backed by familiarity with our own conventions and institutions. You will bring exceptional quality control, writing and management skills, and you will be capable of building respectful relationships with diverse stakeholders. Applications should be made in English or French using the Council of Europe online application system before the deadline of 7 October 2015. The Open Society Foundations work to build vibrant and tolerant societies whose governments are accountable and open to the participation of all people. Their Disability Rights Scholarship Program provides awards for master’s degree study to disability rights advocates, lawyers, and educators to develop new legislation, jurisprudence, policy, research, and scholarship to harness the innovations and opportunities offered by the United Nations Convention on the Rights of Persons with Disabilities (CRPD). The Max Planck Institute for Social Anthropology is one of the world’s leading centres for research in social anthropology. Common to all research projects at the Max Planck Institute is the comparative analysis of social change; it is primarily in this domain that its researchers contribute to anthropological theory, though many programmes also have applied significance and political topicality. The Research Group ‘How Terrorists Learn’ at the Max Planck Institute for Social Anthropology, led by Dr. Carolin Görzig, is offering 1 Postdoctoral and 2 PhD positions starting 1 January 2016. This seminar will provide practical training for employment and social law practitioners on the EU Charter of Fundamental Rights. Participants will be able to update their knowledge about the Charter of Fundamental Rights, in particular as applied to social and labour law. They will have the opportunity to discuss with colleagues and experts from across Europe the most relevant practical issues and recent developments in the field and to learn how to make use of the Charter in a case before a court. The NCHR Academy of Human Rights is pleased to announce the 2015 Advanced Course on the Human Right to Education. 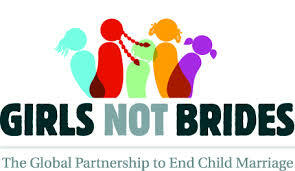 This five-day intensive course has an inter-disciplinary focus on right to primary and secondary education. It aims to equip participants with specialist-level knowledge, enable critical discussion and network building with practitioners and scholars from across the globe. The North-South Centre of the Council of Europe is happy to announce the next e-learning course Global Education: the Human Rights Dimension. The course has been developed in partnership between the North South Centre (NSC) and The Network University. North-South Centre's mandate is to provide a framework for North-South co-operation to increase public awareness of global interdependence issues and promote policies of solidarity in conformity with the aims and principles of the Council of Europe: respect for human rights, democracy and the rule of law. The Network University (TNU) facilitates innovative learning and capacity building for a global network of professionals, students, non-profit organizations, agencies and networks, specializing in creating e-tools for education and networking in the field of development.